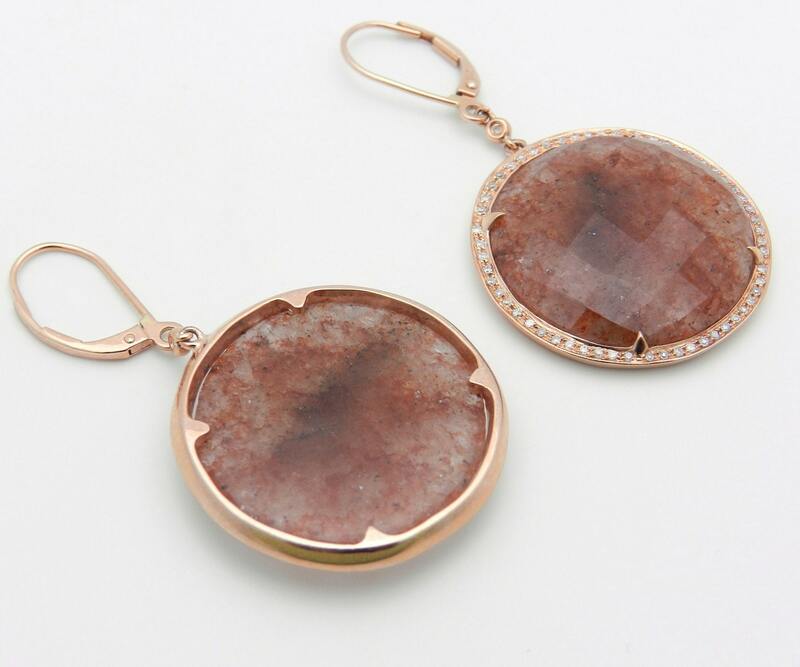 14K Rose Gold Diamond and Citrine Slice Dangle Drop Earrings. 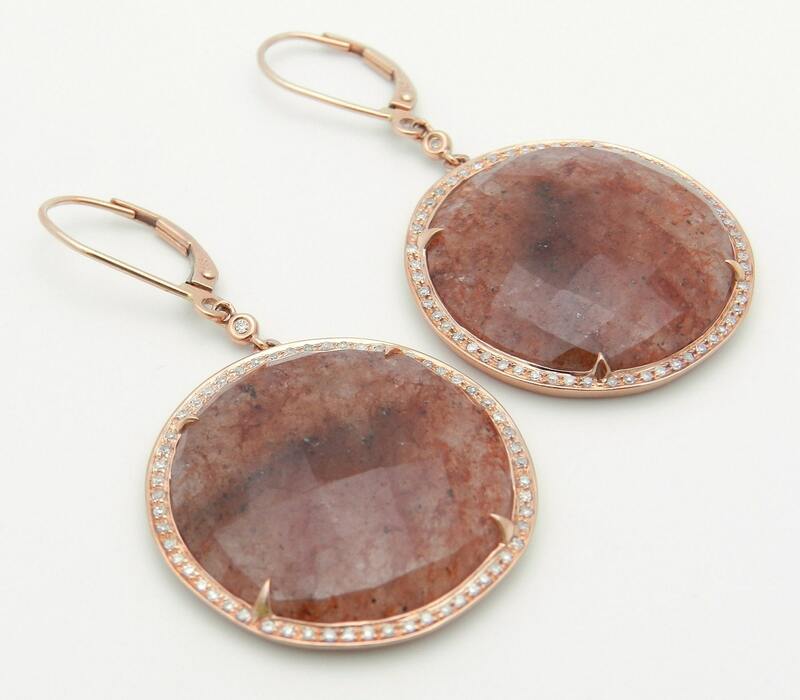 There are two genuine Citrine slices and one hundred and four (104) natural Round Diamonds set in these earrings. 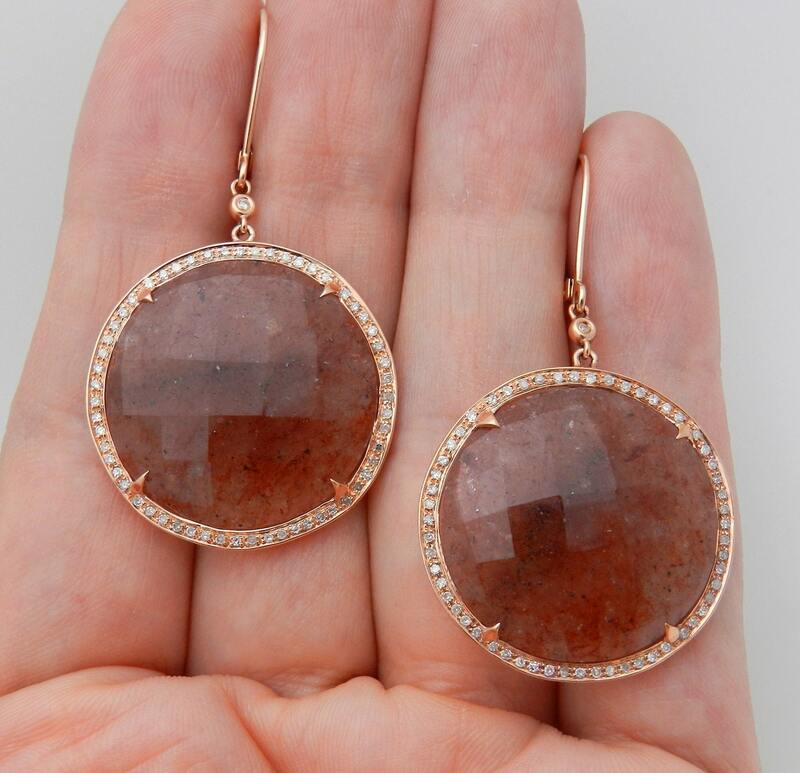 The Citrine in these earrings are an unusual deep orange/light brown color, which appears differently under different lighting, measures 22.5 mm each weigh a total weight of 35.35 carats. The diamonds in these earrings are H color, I1 clarity and weigh a total of .40 carat. 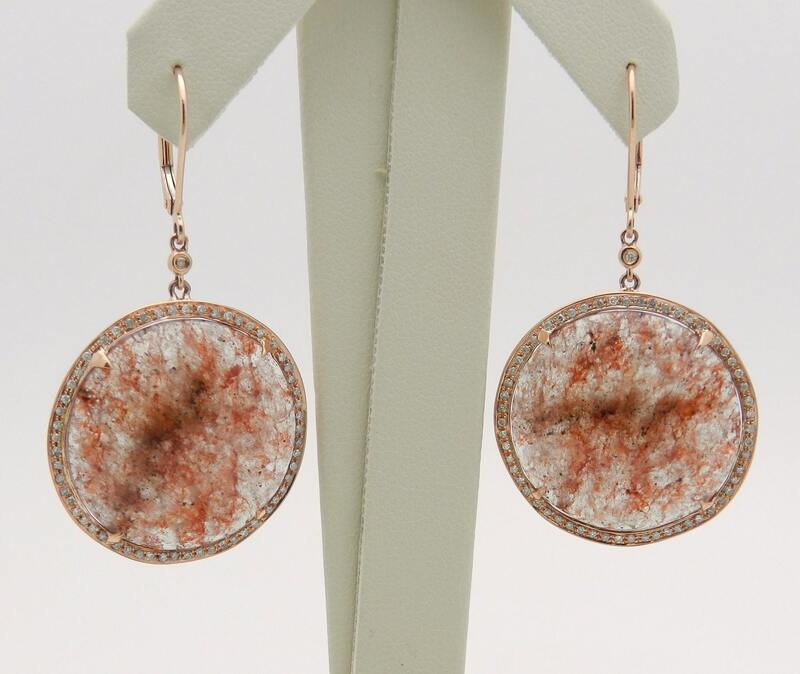 These earrings are 14KT Rose Gold, measure 48 mm in length (a little over 1 3/4"), the drop measures 26.5 mm in diameter (a hair over 1") and weigh a total of 6.2 grams. These earrings are for pierced ears and have a leverback clasps. 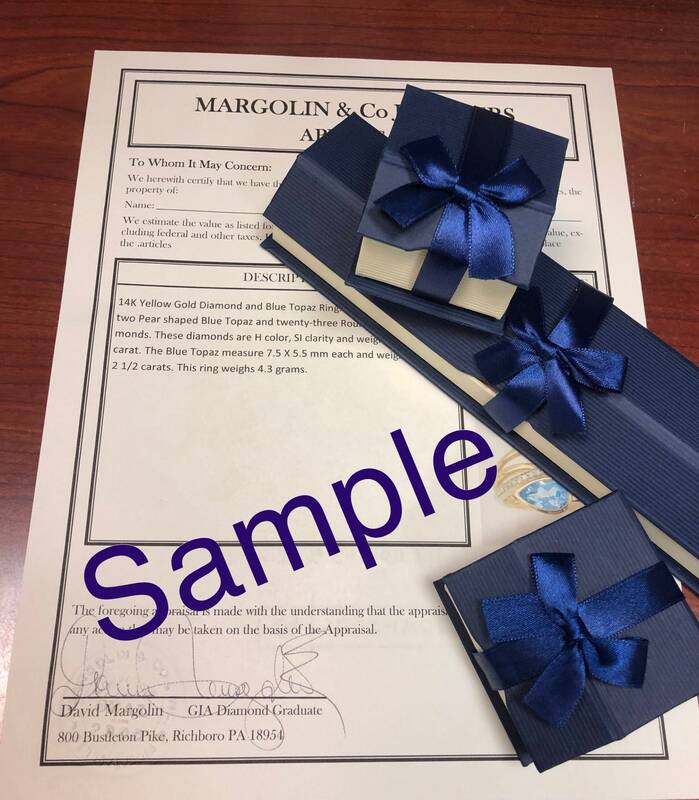 These earrings will be accompanied by an appraisal written by a GIA Certified Diamond Grader with the retail replacement value of $2,495.00. I will ship these earrings promptly in a gift box.